5-star hotel This is a Preferred Partner property. It is committed to providing guests with a positive experience thanks to its commendable service and good value. This property may pay Booking.com a bit more to be in this Programme. 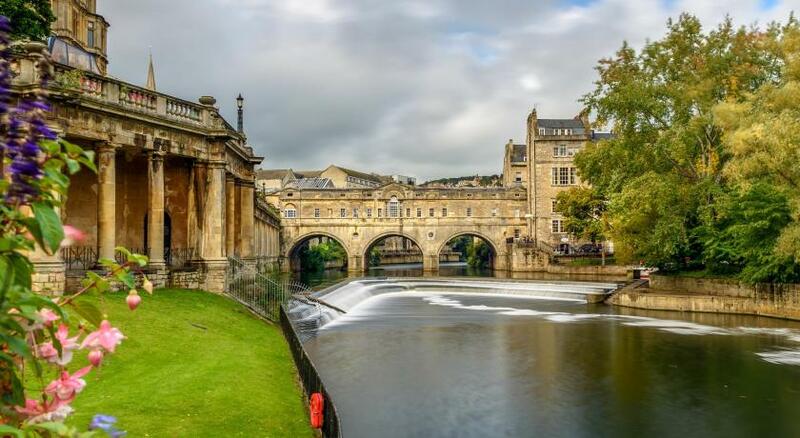 Lock in a great price for No.15 Great Pulteney - rated 9.1 by recent guests. Everything. Polite attentive staff. 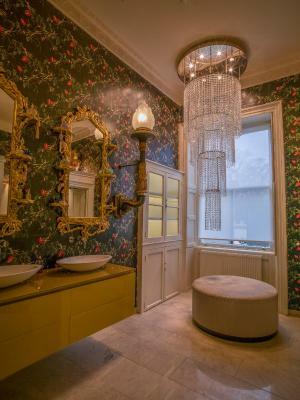 Fabulous decor. Excellent food. My other half loved it ,its the hotel equivalent of a chic flick ;she spent ages photgrahing the decor; roll top bath etc ;if she's happy I'm happy and she was very happy . Lovely spacious room, comfy bed, rainfall shower, breakfast was very good. Fab location. It’s quirkyness. The spa treatment was beyond expectations. The food was delicious too. The hotel was quirky, the staff were lovely. The cosy room was still a good size. The room amenities were fab! And the larder room was a great treat! We loved the dispensary bars (snacks and soft drinks) and spa area for relaxation. Staff were excellent very attentive and friendly. 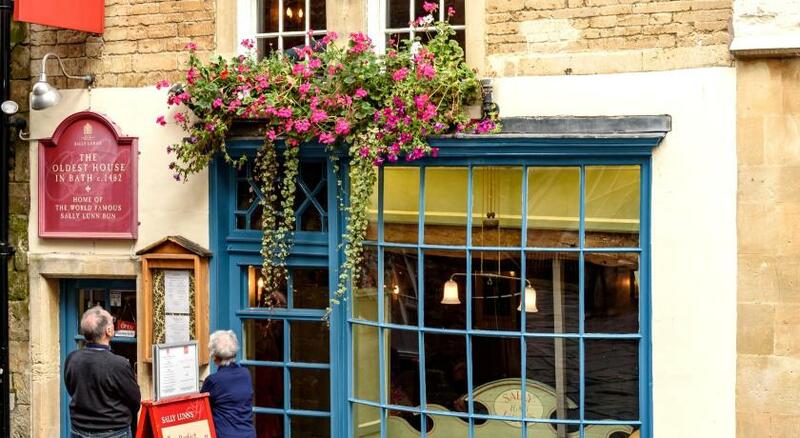 Opened in December 2016, No.15 Great Pulteney is situated just a 3-minute stroll from Pulteney Bridge, Bath Abbey and the Roman Baths. 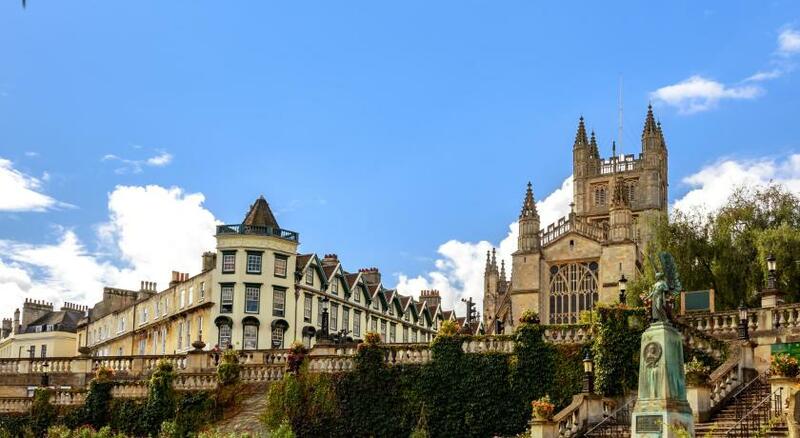 The hotel offers boutique townhouse accommodation in Bath, along Great Pulteney Street. 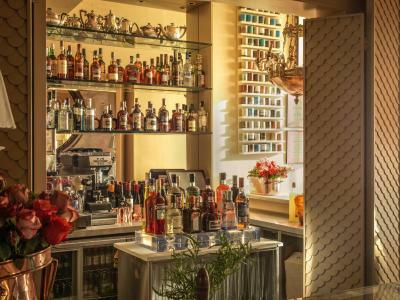 Guests can enjoy the onsite bar and restaurant. Free high speed WiFi is available throughout. There is also limited, onsite private parking. 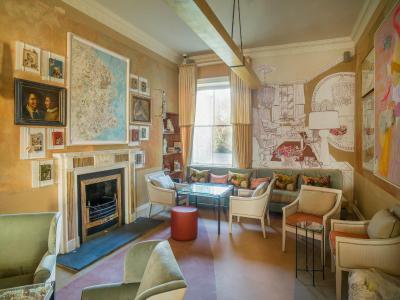 Rooms at No.15 Great Pulteney are individually designed and feature bespoke wall art. Each rooms offers a Hypnos Lansdowne Cashmere bed, Nespresso coffee machine, an internet enabled LED TV with Sky TV package and free sports and movie channels. 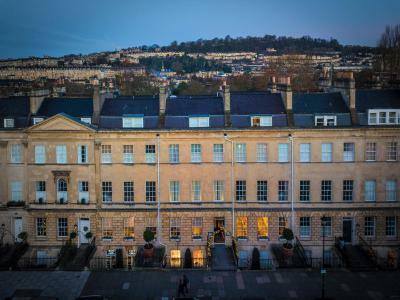 Most of the rooms offer views of Bath whilst others offer garden views and views of Henrietta Park. The onsite restaurant, Cafe 15 offers a range of breakfast options including continental and a full English. Light lunches are also available and you can treat yourself to afternoon tea. 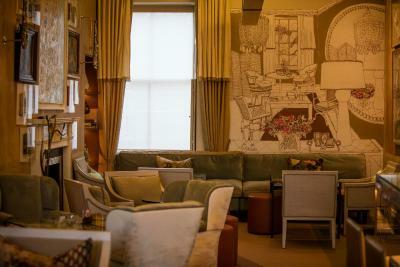 Bar 15 offers a space to relax during the day to enjoy speciality coffees and loose-leaf teas. 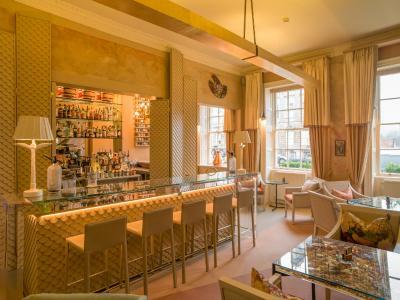 In the evening, the bar offers cocktails and a speciality drinks menu. 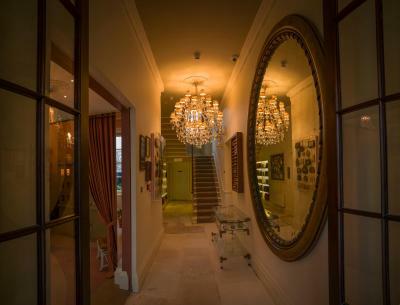 The onsite spa offers a range of beauty and massage treatments. Spa facilities include a cedar wood hot tub within exposed stone vaults, a barrel-shaped sauna and separate steam pod. Guests receive complimentary 60-minute use of the hot tub facilities when booking a treatment. 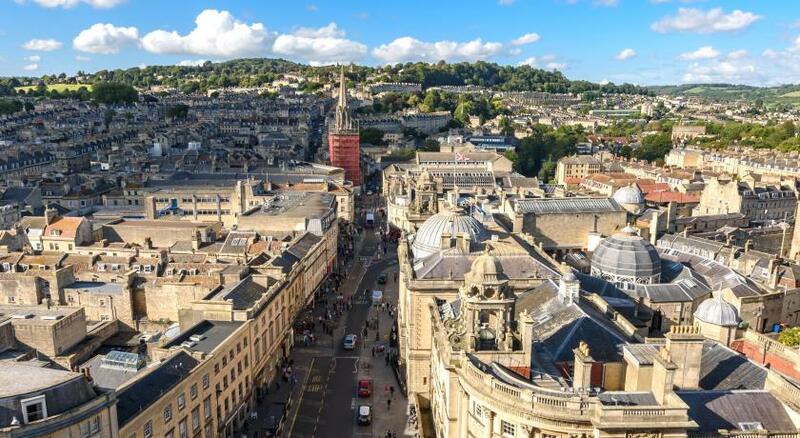 The nearest airport is Bristol Airport, 15.5 miles from No.15 Great Pulteney. 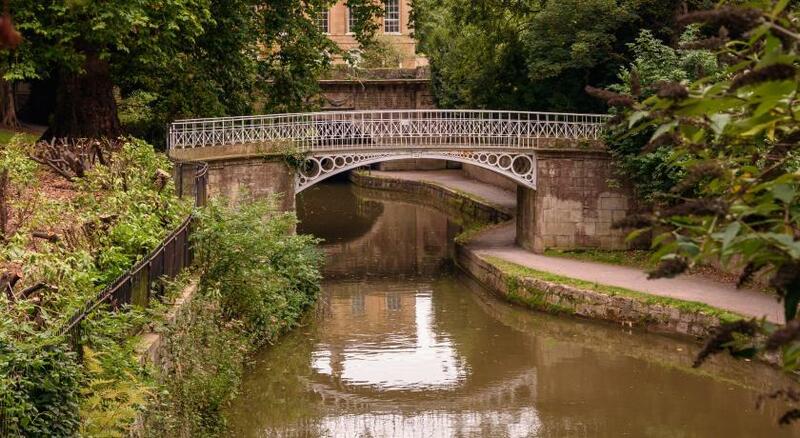 Bath Spa train station is just a 12-minute walk away. 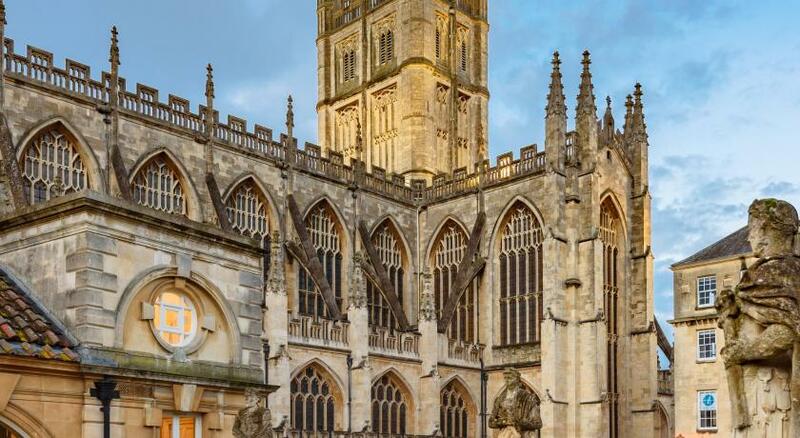 This is our guests' favourite part of Bath, according to independent reviews. Couples particularly like the location — they rated it 9.6 for a two-person trip. 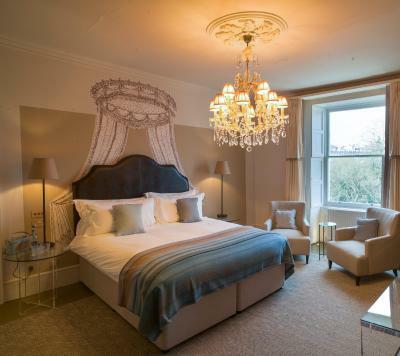 No.15 Great Pulteney has been welcoming Booking.com guests since 27 Jun 2009. Good for couples - they rate the facilities 9.0 for two-person stays. 끉 Want a great night's sleep? This hotel was highly rated for its very comfy beds. 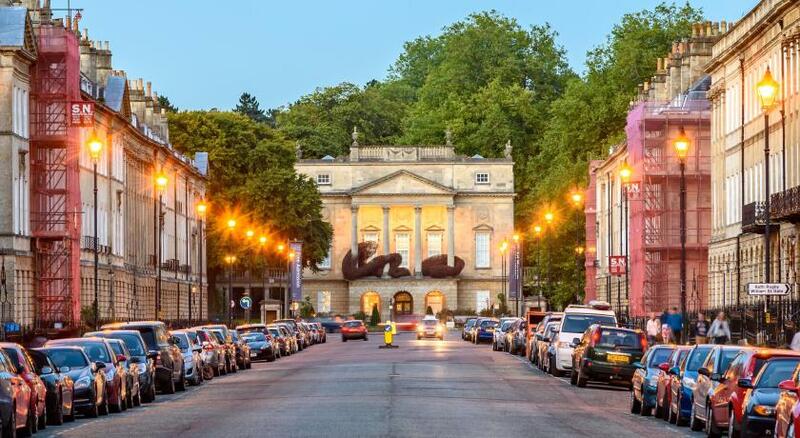 When would you like to stay at No.15 Great Pulteney? This double room is compact. Local artists have created bespoke wall murals in each room and each room is unique. Please note children cannot be accommodated in this room. Public parking is possible at a location nearby (reservation is not possible) and costs GBP 20 per day. 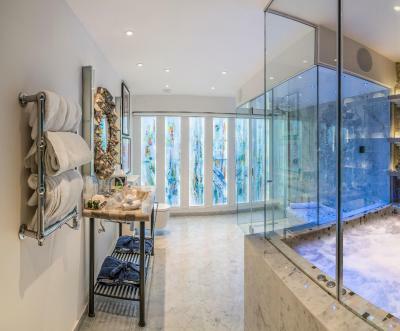 Designed by local interior designers, these rooms are all individual and located on the ground floor. Please note children cannot be accommodated in this room. These individually designed rooms are located on all floor in the building. Some rooms feature views over Henrietta Park (subject to availability). Bathrobes and slippers are provided in the rooms. Please note children cannot be accommodated in this room. 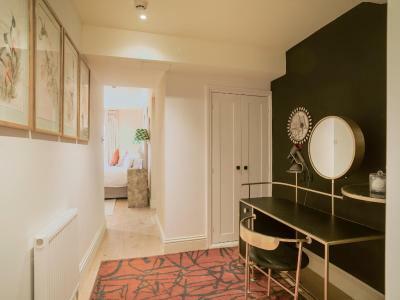 Located on all floors in the building, this double room comes with a sofa bed in the room. Children can be accommodated in this room. 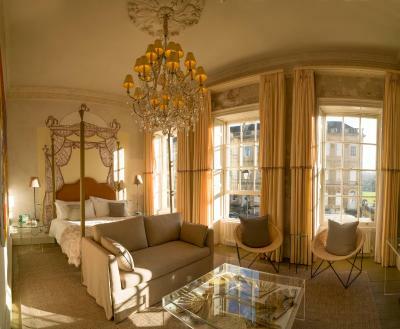 These individually designed rooms have views over Great Pulteney Street and feature a contemporary four-poster bed. Bathrobes and slippers are supplied. Children can be accommodated in this room. This twin/double room has a bathrobe, electric kettle and seating area. Rooms are 60 square metres. Hotel surroundings – Excellent location - show map Guests loved walking around the neighbourhood! 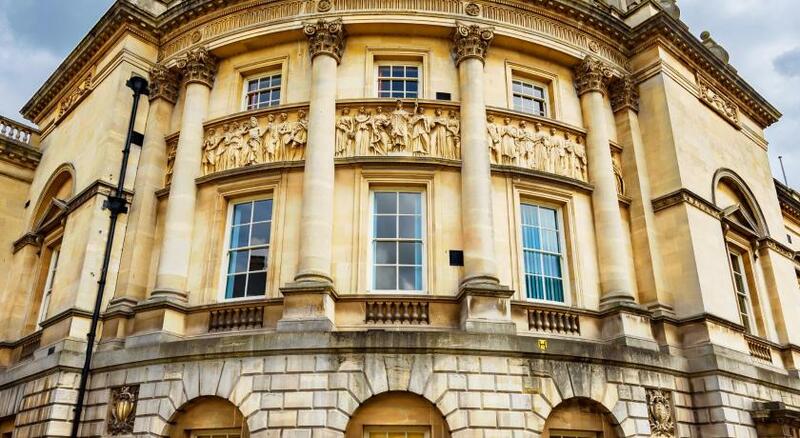 House rules No.15 Great Pulteney takes special requests - add in the next step! When booking more than 4 rooms, different policies and additional supplements may apply. No.15 Great Pulteney accepts these cards and reserves the right to temporarily hold an amount prior to arrival. 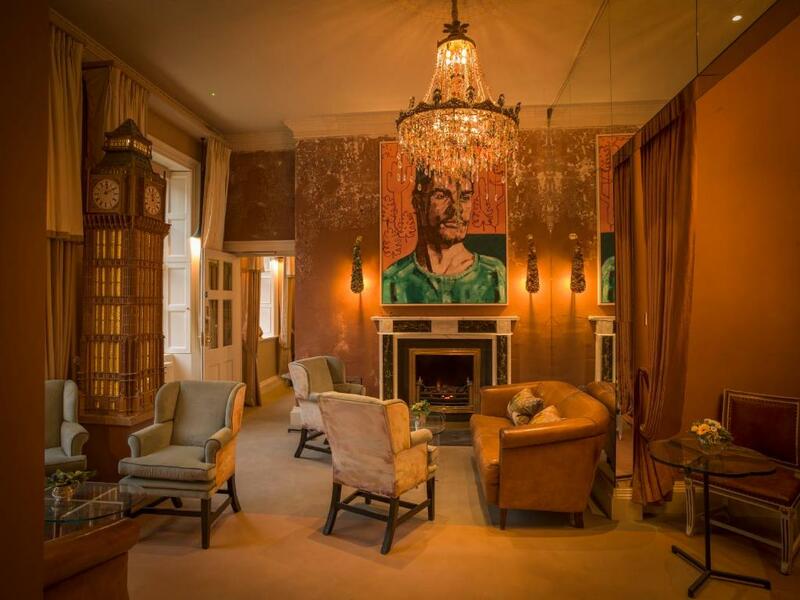 Pets can be accommodated for GBP 15 per night, subject to availability and by prior arrangement. The rooms can accommodate one pet only. Public parking is possible at a location nearby (reservation is not possible) and costs GBP 20 per day. Parking will cost 22 GBP per day from 1 April 2019. Please note that parking spaces are limited and are on a first-come, first-served basis. Please note for bookings of more than two rooms, their location cannot be guaranteed to be next to each other. Children must be accommodated with an adult. I like a mini bar in the room and you might be disappointed with the definition of junior suite. could really do with bigger coffee cups in the rooms the twee tea cups made me feel like giant but I just want a brew. A little noisy .. Chandelier rattled every time someone walked above us. £290 seemed a bit excessive for a small double room. Had to pay £22 for parking as we had booked through booking .com whereas last time we booked direct and didn't need to pay... This was disappointing . It would have been better if the use of the spa facilities like the hot tub was free for hotel guests. The discounted price was still a bit too much. The fact I was only there 1 night . ! Coachhouse bedroom was extremely noisy. Soundproofing between rooms is nonexistent. We were kept awake with doors being slammed, other guests on the stairs and people talking in their rooms and using the toilet. Poor facilities in room. No full length mirror and a silly vanity mirror that was chipped. Good location. Breakfast was nicely presented.